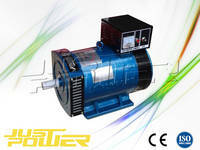 Company Name Justpower Equipment Fuan Co., LTD.
Justpower Equipment Fuan Co., LTD.
1.ST /STCseries ac electric generators are mainly designed to service as power generating unit of small capacity,which supply electricity for lighting purpose in ships,for house-hold electric devices used in towns or villages. 2.The construction of the ac electric generators is of disproof,salient pole rotating field self excitation and constant voltage type.The alternator interior is used with high quality electric magnetic and electrical material.Stator insulation is class B. 2. Cooling air temperature: 258~313K (-15 ~40 ). 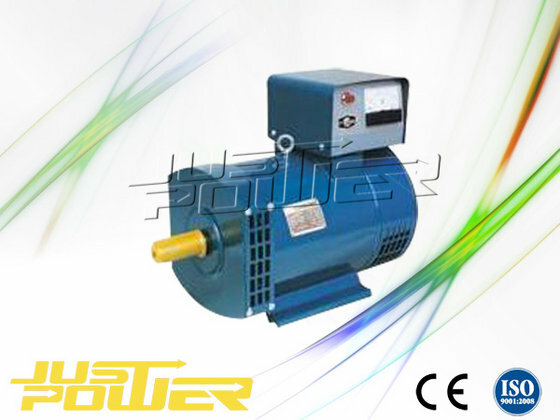 About Justpower Equipment Fuan Co., LTD.
Justpower is a professional supplier of power generation products, including 5-2000KVA super silent/silent/open diesel generator sets and synchronous alternators with 5 years' experience. We have a group of experienced production, after-sales, technical & sales people, aiming at providing the best power supply solutions for partners worldwide. We are OEM partners for Perkins, Cummins, Deutz, Doosan, Isuzu, Mecc alte & Stamford.